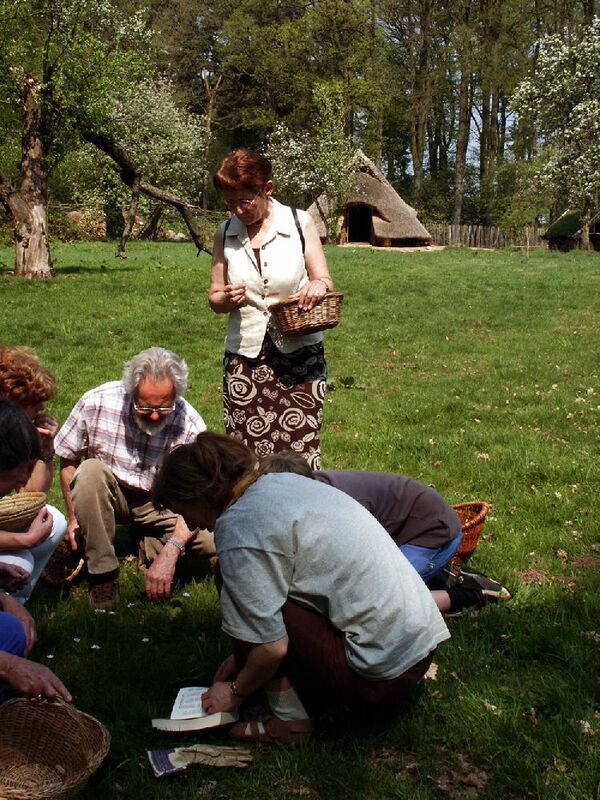 Since 2005, a Bronze Age Farm under (re-)construction as a place for educational and experimental archaeology. The project started as an initiative of the community of Uelsen, which financed roughly half of the amount required (ca. 90.000 Euros) for the building of the central house. The other half came from the EU (Euregio). The idea of establishing a bronze age farm originated at the end of a major excavation at the premises of Uelsen, where some 130 graves of the late Bronze Age / early Iron Age were documented by us (the Lower Saxony Department for the Conservation of Monuments). The excavation was accompanied by intense public relations. An immense public interest brought the colleagues to the decision to start such a project. Visitors can now immerse into life some 3000 years ago with all senses – touch and try out replica of bronze age tools, clothes, and vessels, smell and taste meals and drinks, feel the warmth of the hearth fire, and listen to the information given by second-person-interpreters. 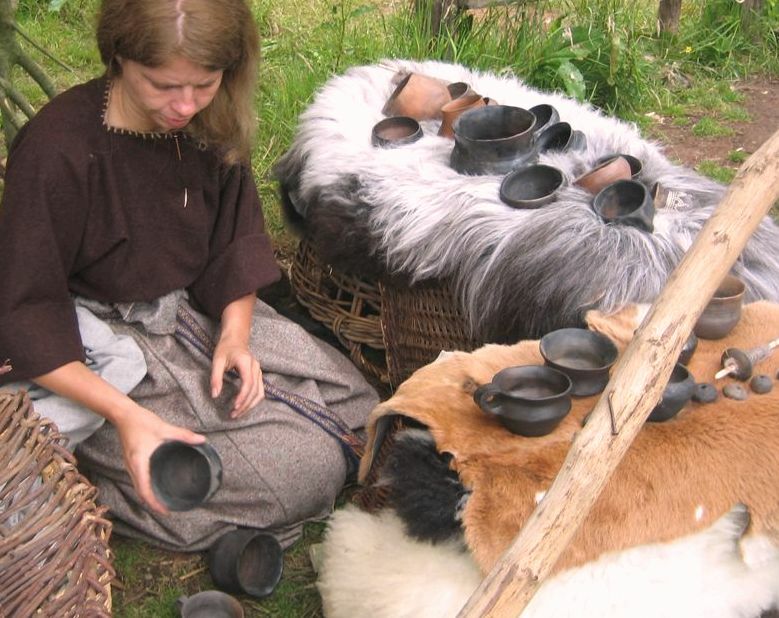 Not only are visitors shown around, but groups (first of all children) can participate in a variety of activities and seminars on themes related to the bronze age ranging from just some hours to a whole weekend. Once in a year, (experimental) archaeologists come together to communicate their experience, new results, successes (and failures as well). In the neighbouring historical farm Blekkerhof there will soon open an exhibition on the results of a major late bronze age grave field excavation which recently took place in Uelsen, showing also the world of the Bronze Age as a whole. Uelsen is designed to become a centre for archaeology in the county Grafschaft Bentheim with a regional museum. Excavation technician, Lower Saxony Department of Cultural Heritage Management, regional team Weser-Ems, Oldenburg. Together with Jana Esther Fries, archaeologist (head of the regional team), technical and scientific advisor since the start of the project in 2005. My main objective is to improve the quality of our performance through co-operation with other museums and members of EXARC. Being one of the guides on the Uelsen Bronze Age Farm since 2006, I am much interested in how people lived in ancient times, and wether there were similar ways of life in other parts of the world. As a teacher, one of my main goals is to get pupils involved in the project. Besides, my favourite work is to build new structures on our farm, especially in wood.